Exploring My Bookshelves is a weekly meme created by Addlepates and Book Nerds. However, because of their hiatus in America, For the Love of Words created the topics for July and August. 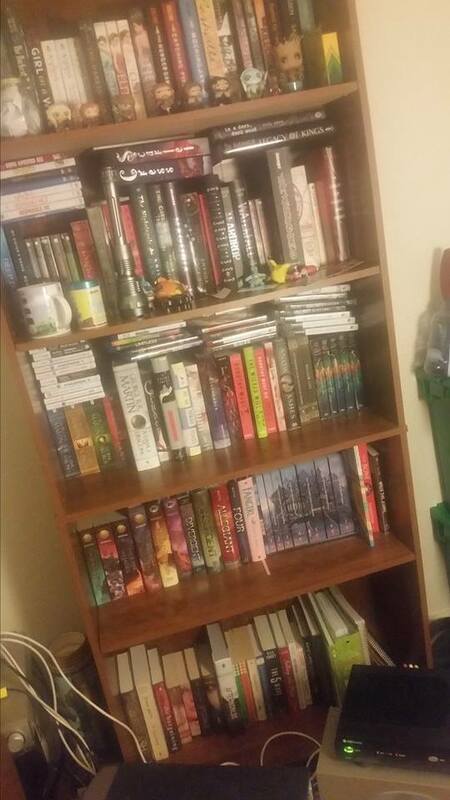 Here we have a terrible picture of my bookshelf. It was 9pm when I took it, and you sure can tell. My lighting in the living room is bad, so it shows when I take pictures at night. 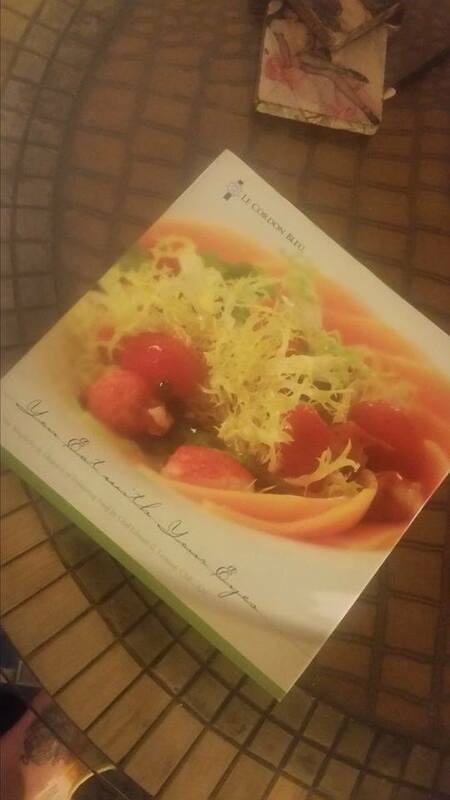 So I didn’t buy this book for school, but I received it because I went to Le Cordon Bleu. And I figure that’s close enough! I have never used it. And probably won’t. But it’s a cookbook and I am going to be keeping it. This entry was posted in Book Tag, Exploring My Bookshelves and tagged book, books, books for school, cook, cookbook, exploring my bookshelves. Bookmark the permalink.